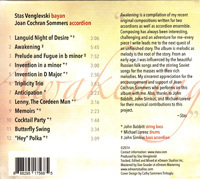 Awakening is a compilation of my recent original compositions written for two accordions as well as accordion ensemble. Composing has always been interesting, challenging and an adventure for me - every piece I write leads me to the next quest of an unfinished story. 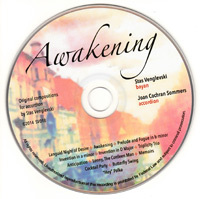 The album is melodic as melody is the root of the story. 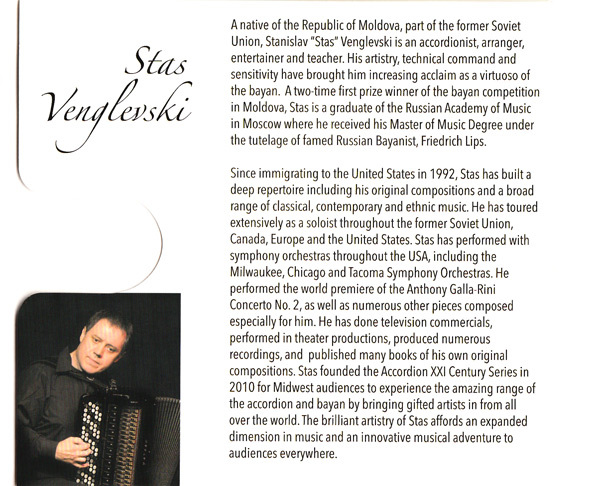 From an early age, I was influenced by the beautiful Russian folk songs and the stirring Soviet songs for the masses with their rich melodies. 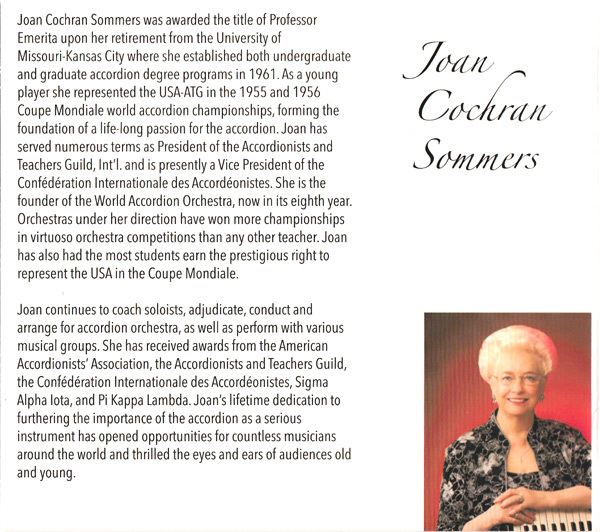 My sincerest appreciation for the encouragement and support of Joan Cochran Sommers who performs on this album with me. 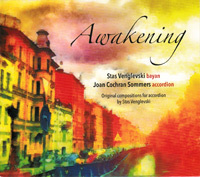 Also thanks to John Babbitt (string bass), John Simkus (bass accordion) and Michael Lorenz (drums) for their musical contributions to this project.